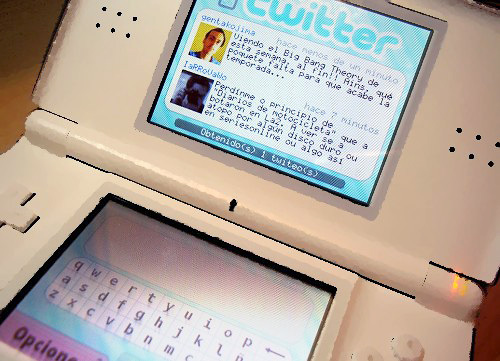 Twitter On Your Nintendo DS | OhGizmo! I haven’t been following the DS homebrew scene for a while now, which is a shame, because there were some great applications that made the DS far more than just a handheld gaming device. For example, you can now download a copy of DSTwitter 1.5 from a website called Acdrtux that allows you to stay in touch with your followers in between sessions of Chinatown Wars and Rhythm Heaven. As usual you’ll need a DS homebrew flash cart in order to install and run DSTwitter, as well as an available wifi hotspot, but both of those are pretty easy to come by these days. WOW! amazing post and blog, I love it!!!!!! !